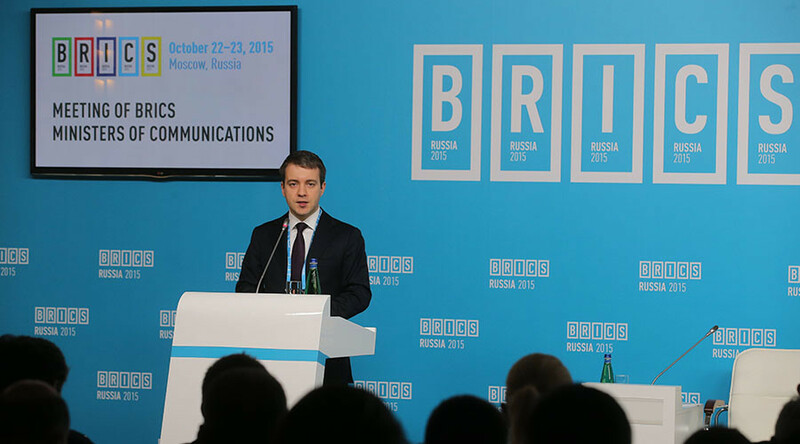 “All BRICS states are interested in cooperation in the sphere of information and communications technologies (ICT),” Nikolay Nikiforov, said on Thursday in Moscow. Each BRICS state has advantages in a particular sphere of ICT, “But today, information technologies are a driver of economic growth for all [BRICS countries], without exception,” Nikiforov said. One of the key problems is that the US has a monopoly in the ICT sphere, from the minister’s point of view. Nikiforov pointed out that the world has become polarized, as there are some countries that monopolize and control the ICT markets and other states that are interested in an alternative system. “If there is a balanced competitive environment, there will be no security issues,” the minister said, adding that the US’s ability to conduct mass surveillance around the entire globe became possible because the whole world is controlled by several companies with links to the US government. “That would be impossible if the market structure were different,” he concluded. In order to challenge the US’s IT-monopoly, the BRICS states should offer the world alternative ICT products and services, Nikiforov believes. They should also strive for the equality of all states in running critical Internet infrastructure as well as develop norms and principles for the ICT sphere, the minister said. The first meeting of the BRICS Communications Ministers began in Moscow on Thursday and will last for two days.